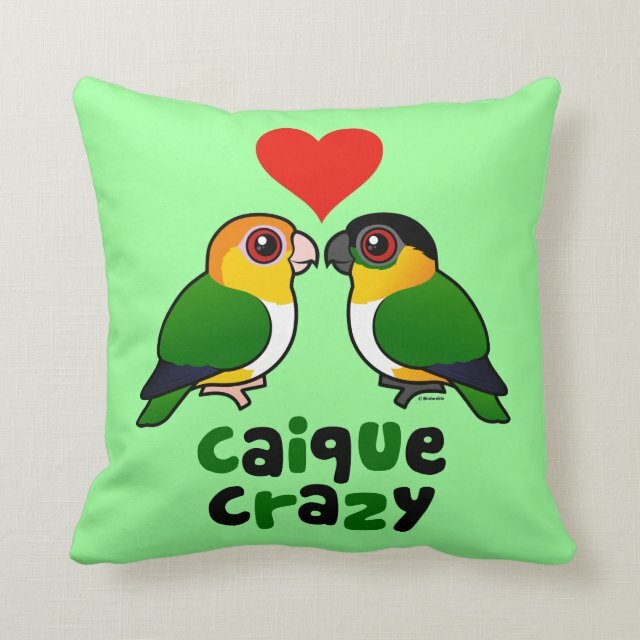 A Black-headed Caique and a White-bellied Caique stand together in this cute design for Caique lovers. The text reads "Caique Crazy". A great gift idea for anyone that loves Caiques! You can customize this gift! Move the design around, change the background color or style, add text or images -- make it your own!